A new manufacturing technique uses a process similar to newspaper printing to form smoother and more flexible metals for making ultrafast electronic devices. 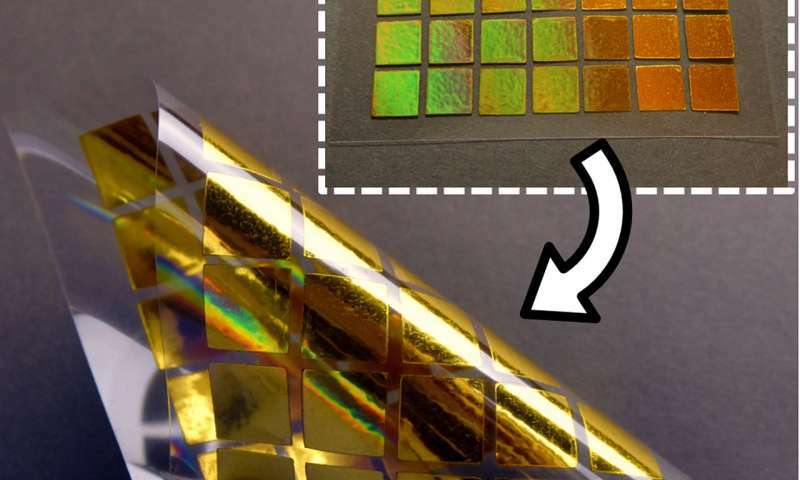 "Unfortunately, this fabrication technique generates metallic circuits with rough surfaces, causing our electronic devices to heat up and drain their batteries faster," said Ramses Martinez, assistant professor of industrial engineering and biomedical engineering. "Forming metals with increasingly smaller shapes requires molds with higher and higher definition, until you reach the nanoscale size," Martinez said. "Adding the latest advances in nanotechnology requires us to pattern metals in sizes that are even smaller than the grains they are made of. It's like making a sand castle smaller than a grain of sand." The fabrication method, called roll-to-roll laser-induced superplasticity, uses a rolling stamp like the ones used to print newspapers at high speed. 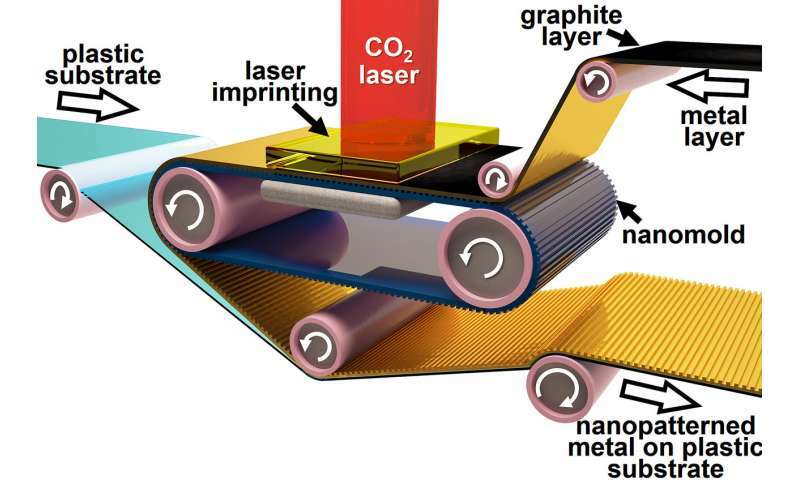 The technique can induce, for a brief period of time, "superelastic" behavior to different metals by applying high-energy laser shots, which enables the metal to flow into the nanoscale features of the rolling stamp – circumventing the formability limit. "In the future, the roll-to-roll fabrication of devices using our technique could enable the creation of touch screens covered with nanostructures capable of interacting with light and generating 3-D images, as well as the cost-effective fabrication of more sensitive biosensors," Martinez said. The researchers discuss their technology further in Nano Letters, an American Chemical Society publication.